Looks like last month’s evidence was legit. 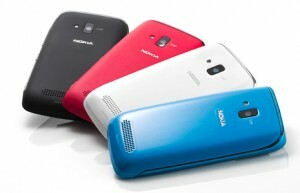 The Nokia Netherlands team has just announced that the Nokia Lumia 610 will be launching in the Netherlands sometime next week. The MSRP for launch in the Netherlands is 249 Euro including VAT, and will be launching in white, black, cyan, and magenta simultaneously. The Lumia 610 is Nokia’s own low-end Windows Phone device, designed and manufactured with a priority for new customers to the smartphone world. It is a “low end” device only because it has a much lower price and less features compared to higher end handsets. The Lumia 610 offers a 3.7″ display, 800 MHz processor, 256 MB of RAM (which may limit application availability), 8 GB of internal storage, and a 5MP rear camera. Again, it is a ‘low-tier’ Windows Phone, however, it is ideal (and very popular) for new smartphone users who have never used a smartphone before. You can visit the Nokia Lumia 610 Netherlands product page for more information.